Changed your mind about a purchase? With Parcel Motel you can easily return items to online retailers. You can easily return an unwanted purchase to more than 500 of your favourite retailers. Simply generate a return label, attach it to your parcel and drop it off at your local Parcel Motel or Parcel Motel Point. 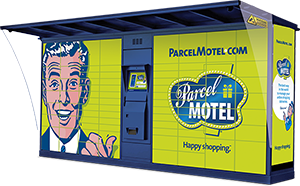 And with a nationwide network in Ireland – with Parcel Motels located in petrol stations, convenience stores, supermarkets and shopping centres – wherever you are, there’s a good chance there’s a Parcel Motel near you. 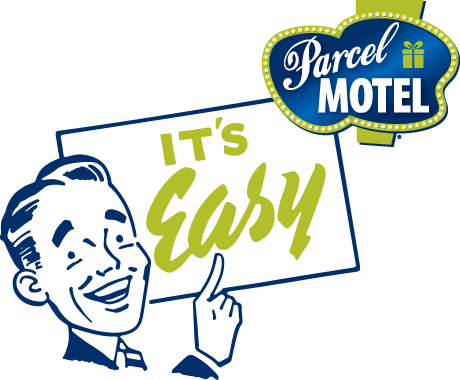 As a Parcel Motel customer you can now save on returning parcels to your favourite retailers. If it wasn’t the right colour or size now you can return it! You can also avail of FREE returns on online purchases from certain Parcel Motel retail partners. Click on the brand logos below to follow specific return instructions. Sign into your Parcel Motel account and choose the retailer you want to return to. Select the required locker size and confirm your parcel is less than 10kgs. Print out the Parcel Motel barcoded label. Pack up your return and attach the label (and the retailer’s label if required) to the outside of your parcel. At your registered Parcel Motel location, scan the barcoded return label and place your parcel in the open locker. Close locker door and press ‘Confirm’ on the screen. ​Want to return a parcel to a shop not listed above? Click here for a step-by-step guide to using our service. With Parcel Motel you can track your parcel online all the way back to the retailer. We’ll confirm by text (and email) that your parcel is in our Parcel Motel and you’ll be able to track your parcel in real time by clicking on the tracking number in the recent activity table in your account. Sit back, relax and we’ll do the rest! Please note we charge by size and weight. The largest Parcel Motel locker size is 41 × 38 × 64 cm. The maximum weight is 10 kgs. "I saved €14.50 returning my shoes (wrong colour) with Parcel Motel instead of by post and I didn’t have to queue."